I’m not a therapist; I am an Information Specialist – a researcher. I know a bit about most everything or I know where to find some answers or credible information. But, I do have fears, like everyone else. Perhaps that makes me qualified to talk about fear. First, I had to recognize and admit that some of my fears originated during my childhood or from negative experiences as an adult. Like an embedded image in a word document, they are difficult to budge. My first recollection was fear of the dark as a child. Clothes dancing in the moonlight on the clothesline obviously were ghosts. I also saw a mummy like creature walking through the junipers while I was playing beneath a neighbor’s veranda. I was six or seven. (As a teen, my brother admitted that he too had seen this “mummy.”) My sister was also terrified of the dark. For her sake, I managed to fake some courage, enough to seem brave to her. I don’t drive much at night now but I’m no longer afraid of the dark. I do have a recurring nightmare since childhood; I’m locked in a dark movie theater and cannot find the exit. That’s why Richard Kosoff invented the nightlight. When my three children were young, I drove them all over Florida to attend church functions and participate in sports. I was terrified to drive the long distances in an old car. I also feared getting lost or not finding my way back home. I made the trips because I had a reason bigger than my fear, my children’s need for social activities. Today, I believe I can find my way just about anywhere and perceive even short jaunts as an adventure. I also feared speaking in public. Encouraged by church peers, I did sing in a quartet. But, I often “lost my cookies” before going on stage and I trembled. The steps to proficiency were small ones. I now enjoy presenting workshops. I realized I have something to share beneficial to my audience. Again, I found something bigger than my fear and the steps were small. Although I now enjoy public speaking, I still find crowds intimidating. A party can leave me speechless until I find someone standing alone. Then I reach out to make that person comfortable which in turn, engages me. I’ve learned to find strategies to move me out of the shadows. I also discovered that if I’m busy, participating, I’m less self-conscious. Church work- parties, fund raisers, led me to this conclusion. Each journey of conquering some of my fears began with little steps. I suspect now that this is a journey, not a destination. I am still uncomfortable, even terrified, of personal relationships. Working with men and educating men has helped me feel comfortable with them on a non-social level. But, after two misfire marriages, I’ve become gun shy. I also fear becoming a “bag lady,” a common fear in women. According to Financial Education on Women and Money, “An amazing 50% of all women have a tremendous fear of becoming a “bag lady”. And what is even more shocking is that 48% of those women earn over $100,000 per year. Additionally, 90% of women say they feel financially insecure, according to a survey of almost 1,925 women conducted by Allianz, a Minnesota-based life insurance company. To address both of these fears – intimacy and becoming a bag lady, I believe I need the insight of a more objective perspective, a counselor. I need help to untangle the string of distorted perceptions wrapped in a tight ball inside my psyche. And from a short bout of counseling a few years ago, the process then added a boost to my confidence. 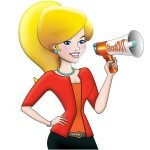 Heather Sell has a counselor to recommend to me, one of the many perks of ShoutOUT®. But in the meantime, I’ll take some small steps to overcome these two roadblocks. I’ll join a writing club or fine arts club to move into a more social arena with men. 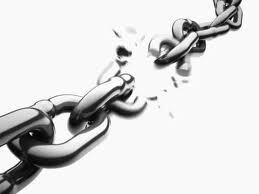 To ease my financial insecurity, I’m working on the eliminating debt and keeping a close copy of the 72 Zen Habits to Simplify Your Life to ensure that I am at least one step ahead of my fears. As 2012 lounges lazily on the horizon, my sincerest wish is that the New Year infuses you with the strength to overcome some of the fears that have been paralyzing you. Whether those fears include public speaking, intimacy or relationship fears, or even a fear of trying something new, moving past fear can be both invigorating and empowering, not to mention fun. Here’s wishing you a year of fearless adventures and boundless fun! 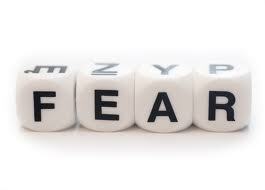 “Psych Basics: Fear and Paranoia.” Psychology Today. n.d.
Heacock, Doug. “Five Great Ways to Conquer Your Fears.” Zen Habits. 2008 Nov. 24. Babauta, Leo. “Simple Living Manifesto: 72 Ideas to Simplify Your Life.” Zen Habits Breathe. 2007 Sep. 5. Smart Women Take Risks: Six Steps for Conquering Your Fears and Making the Leaps to Success, Helene Lerner. How the Fierce Handle Fear – Secrets to Succeeding in Challenging Times, Sophronia Scott. Peace is Every Step: The Path to Mindfulness in Everyday Life, Thich Nhat Hanh.